It is starting to look a lot like Christmas here in Utah. Snow just began falling and we are welcoming it here at this DIY diva Home! Little dude started squealing with excitement when he looked out the window, and he is now currently searching for his boots. 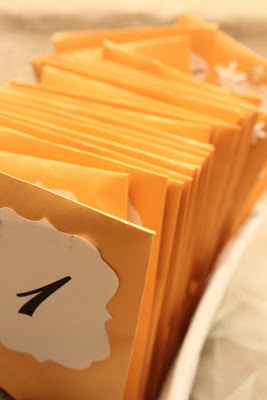 In honor of the season, we started our Making Memory Advent, and it is a total HIT at my house! Little dude can't wait to open his "present" everyday. 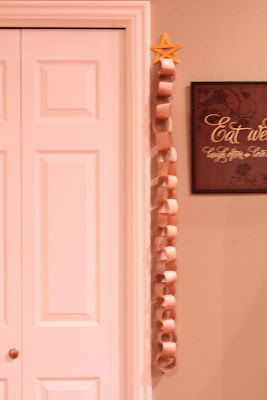 Make a paper chain to count down the days until Christmas. 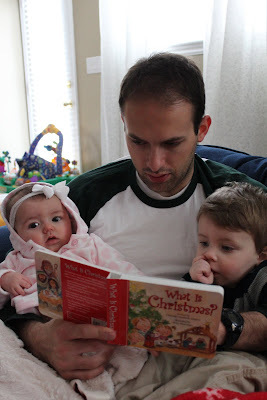 Read a new book about the true meaning of Christmas. What Christmas activities have you started this December??? It's not too late to start making Christmas memories! You can do it with your kids, and some of our readers even thought it might be fun to adapt the activities for a spouse or significant other. For the list of my memory making ideas just click HERE. @ Anonymous - I think great minds must think alike! We should be friends! Merry Christmas! Meg! That first picture totally through me off. That view is way too familiar. I hope you guys are loving the place & love the memory idea. I'll have to try that next year! Merry Christmas. Chelsea... We LOVE it here. I cant even tell you what a blessing it is for our family.. A miracle.. An answer to our prayers. Thank you for your sweet note!!! Take care Chels and Merry Christmas too! I love the advent calendar!!! I may do this with my boys...it's not to late to start it right? :) I am also loving your snow...no snow here. I have been following for a little while now and love Do It Yourself Divas! Thank you for sharing. Wishing your families a merry and blessed Christmas!